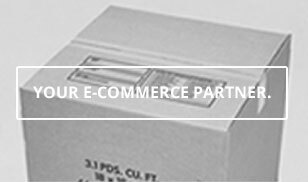 Food packaging is specifically designed to help protect perishable items. Your bakery’s finest creations, eagerly waiting to be eaten, will sit safe and fresh in bakery bags on your shelves. Hamburgers stacked high with toppings, and being gleefully devoured in front of your food truck, won’t leak messy sauces or burn fingers while wrangled in foil-lined food bags. French fries will stay crispy on the outside and fluffy on the inside, while stuffed into French fry bags or piled on waxed food sheets. 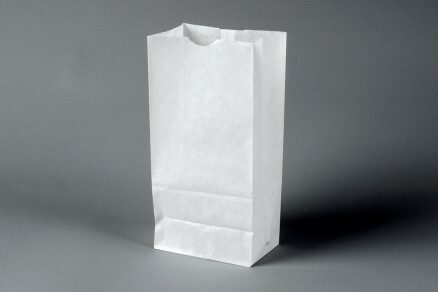 Deli meats, dry mixes and other perishable foods will keep moisture, dirt and bacteria at bay, thanks to butcher paper rolls and waxed deli papers. 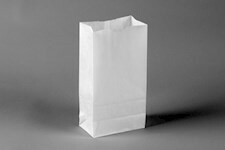 Keep your food products and tasty morsels safe with food packaging supplies from The Packaging Company. 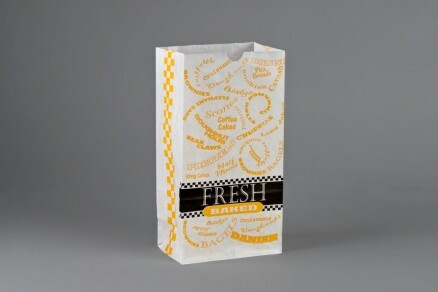 Bakery Bags, Black / Yellow, 6 x 2 3/4 x 9 1/2"
Bakery Bags, Printed - Bakery Fresh - Teal, Brown, Red, Waxed, 7 1/8 x 4 3/8 x 13 15/16"
Bakery Bags, White, Waxed, 7 1/8 x 4 3/8 x 13 15/16"
Bakery Bags, White, Waxed, 6 5/8 x 3 7/8 x 13 1/8"
Bakery Bags, White, Waxed, 6 1/8 x 3 7/8 x 12 5/8"
Bakery Bags, White, Waxed, 6 x 3 5/8 x 11"
Bakery Bags, White, Waxed, 5 x 3 1/8 x 9 3/4"
Bakery Bags, Natural Kraft, Waxed, 7 1/8 x 4 3/8 x 13 15/16"
Bakery Bags, Printed - Fresh Baked - Red and Blue, Waxed, 7 1/8 x 4 3/8 x 13 15/16"
Bakery Bags, Printed - Color Coded - Burgundy, Waxed, 7 1/8 x 4 3/8 x 13 15/16"
Bakery Bags, Printed - Bakery Fresh - Teal, Brown, Red, Waxed, 6 5/8 x 3 7/8 x 13 1/8"
Bakery Bags, Printed - Fresh Baked - Red and Blue, Waxed, 6 5/8 x 3 7/8 x 13 1/8"
There’s absolutely no denying just how delicious all sorts of food can be. Doesn’t matter if it’s raw, fried, baked or grilled, nothing compares to all those sweet, rich and impressive creations. But man, can those edible feasts be messy. That’s why food service supplies are the ideal packaging choice for helping to keep all those messy, runny and memorable toppings under control. 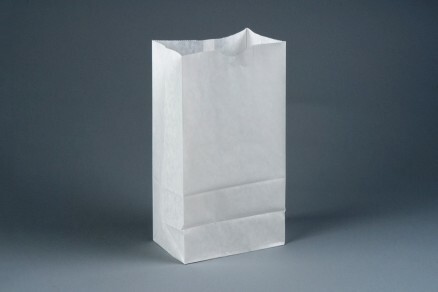 Whether you want to wrap it up safe and sound, cradle it carefully and reverently, or let food packaging bags carry it all, you’ll have plenty of options. It’s the best way to ensure things can stay tasty, warm, melty, crunchy or dry. 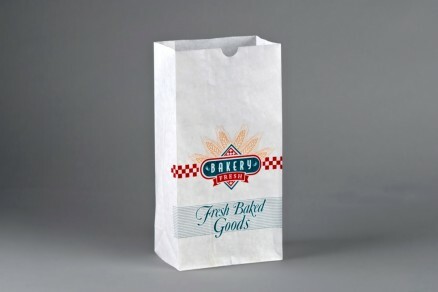 If you’re the lucky owner of a popular, roving food truck or a small but heavily-loved cooking stall, food service bags will definitely help you wrangle all those amazing and mouth-watering morsels into easily carried food containers. 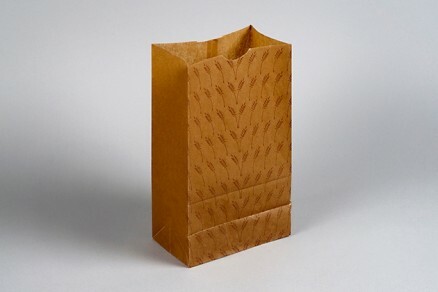 Pop-up grills, street food vendors and big public event food stalls will love food packaging bags for helping those scores of customers cart away all that piping hot and delectable nourishment. Don’t forget the extra food service supplies to round out the experience, because nobody enjoys burned hands or sticky fingers. And, while you’re at it, don’t skimp on the condiments. 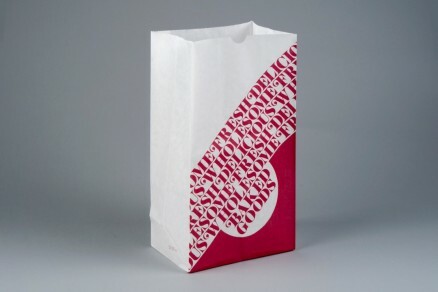 You can also manage that growing customer lineup with speedy efficiency by keeping lots of food service bags nearby. Nothing’s worse than the grumbling, growling stomach of a ravenous customer who’s stuck in line while seriously jonesing for the delectable food you’ve got to offer. You don’t want to disappoint them as they walk away either, so keep their orders safe and intact with the right packing strategy. Stack all those fragrant baked goods properly to keep them from crumbling, bag up those loads of fresh vegetables in the right way to stop the potential bruising, and shield that hot, steamy food from the touch of cool winds by choosing the right kind of food packaging from The Packaging Company.